We have seen our books, podcasts, and videos reach more people around the world than we could have ever imagined. It has all been by the grace of God and for His glory alone. For the first time in the nearly 40-year history of the Seminary, we have reached our maximum number of active students. In fact, we are looking at reducing the number of active students through graduation to allow us more time to accommodate our growth in these other areas. Therefore, the Board of Directors has decided not to accept any new applications for the rest of 2018 and 2019. At the beginning of 2020, we will review the number of active students we have and balance our enrollments with the other Kingdom projects that the LORD has assigned to us. 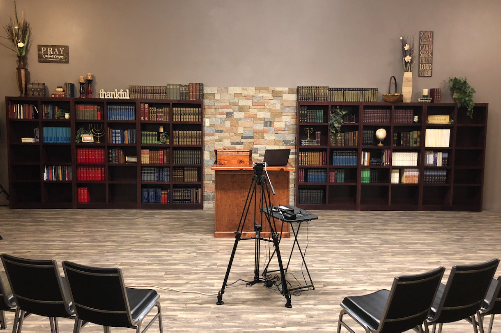 In the meantime, we encourage everyone to take advanced of our podcasts, teaching videos on YouTube, the Biblical Life Assembly Archive, and the studies available through Biblical Life Resources. In this episode, Dr. Michael Lake completes his study of the Fruit of the Spirit by examining Meekness and Temperance. When examined in the original Greek, these two words provide a powerful examination of the mature believer that flies in the face of the modern teaching of Hyper-Grace. Then Dr. Lake explains what it means to walk in the Spirit or Third Heaven realities and compares them to what is being taught in many corners of the Charismatic movement. Finally, he introduces the subject of the Gifts of the Spirit and connects them to the Fruit of the Spirit detailing how they balance one another out in ministry within the Body of Messiah. 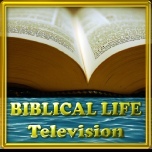 Biblical Life TV Begins Filming Again This Weekend and Ministry Opens Again on January 2. It has been two full months of intense work and prayer to get our new building ready for our ministry to begin operations again. This weekend, we plan on filming another session for Biblical Life TV. We also still have one session we completed before the new building project, but have not had the time for post-production. We hope to have both sessions edited and uploaded next week. Since our ministry was officially closed for the past two months, we have hundreds of emails and phone voice messages to go through. Please give us a couple of weeks to get everything caught up and back to normal.